Andrew Susac’s opposite field home run in the fifth inning chased Harrisburg starter Caleb Clay from the game and staked Richmond to a 6-1 lead. 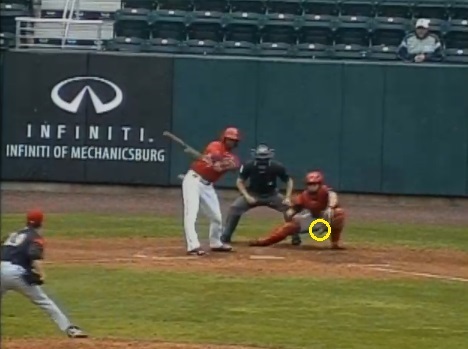 The Senators got one run back in the bottom half of the inning but Anthony Rendon struck out looking with the bases loaded on a pitch that never crossed the plate. An inning later, the Senators used five singles, a walk, and a costly error to plate four runs and tie the game up at six. 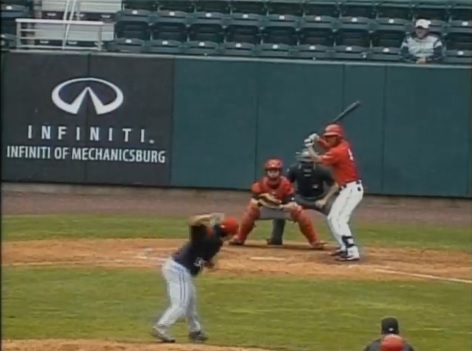 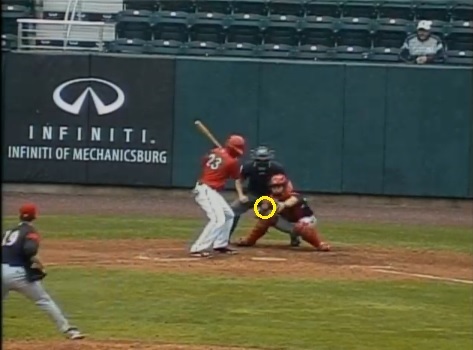 When Richmond catcher Mark Wagner’s return throw to first sailed into right field to extend the inning, the momentum clearly shifted in Harrisburg’s favor. 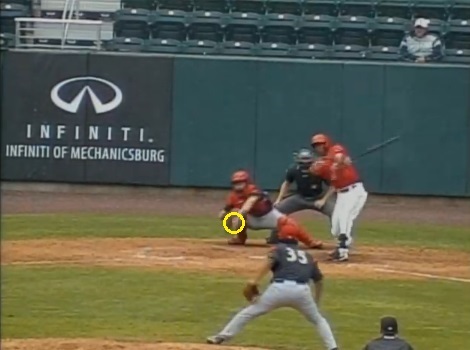 Richmond would respond with a run of their own to reclaim the lead after Javier Herrera stole second base when reliever Neil Holland ignored him and Susac doubled down the third base line to drive him in. 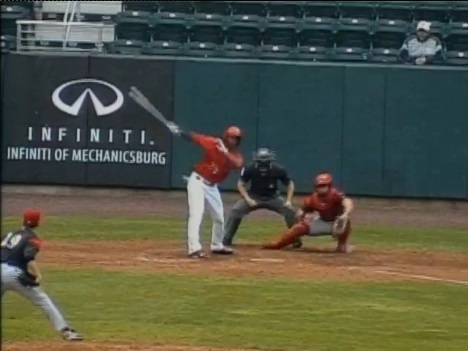 But the Senators weren’t done as Justin Bloxom and Jerad Head opened up the bottom of the seventh with back-to-back singles. That brought Destin Hood to the plate against Richmond sidewinder Edwin Quirarte. 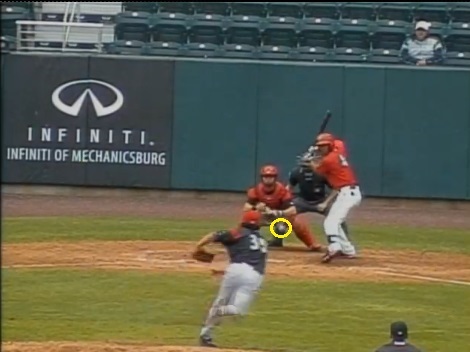 Three curveballs later, Hood was set down while waving at every pitch. 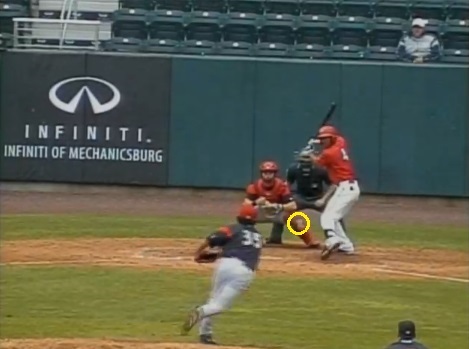 Hood went up to bat without an approach, got behind in the count, and flailed at a strike three that was a good two feet outside. This was a hanging breaking ball that was up and out over the plate and Hood just swung underneath it. 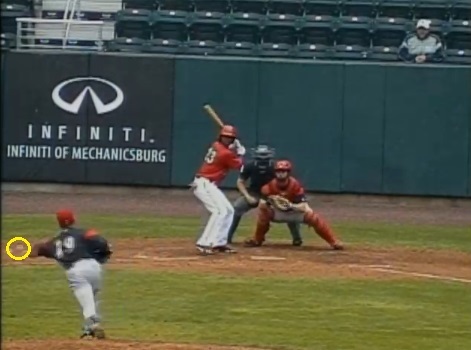 An inning later, the Senators had another chance to tie the game up with Brian Goodwin at the dish and Ricky Hague at second base. 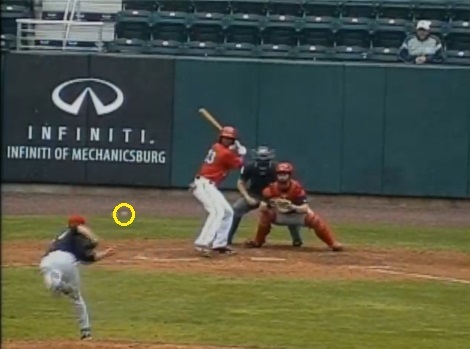 Three pitches later, Goodwin was set down. 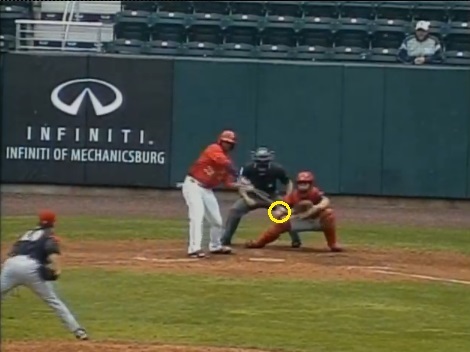 Goodwin struggles against southpaws (.152 AVG) are well documented and Richmond’s Phil McCormick is especially tough on lefties (.114 OBA). Not a good combination…especially when home plate umpire Nick Mahrley turns into Eric Gregg generously giving both sides of the plate. “And now Brian is very upset. 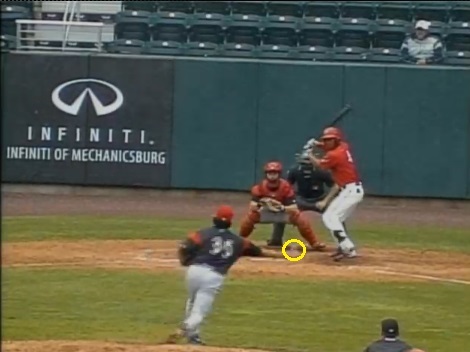 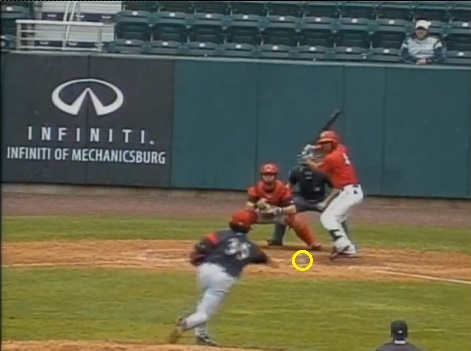 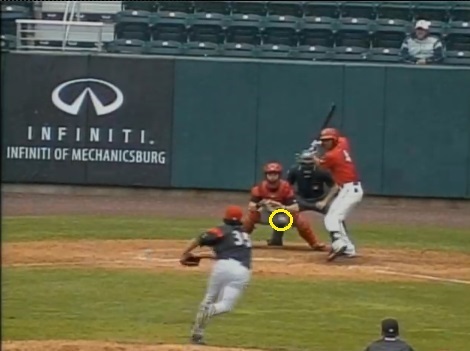 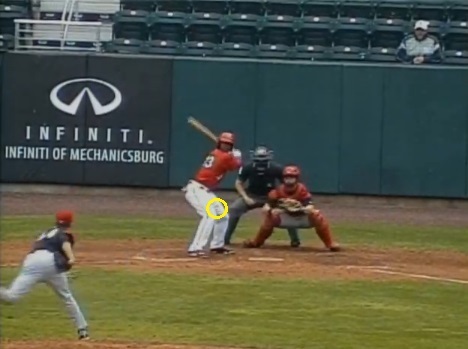 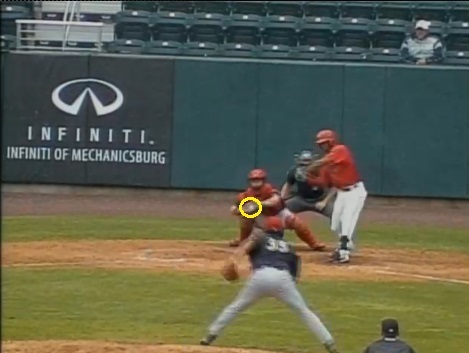 He was backing away from that pitch from the lefthander and it was called a strike.” – Byrom again. 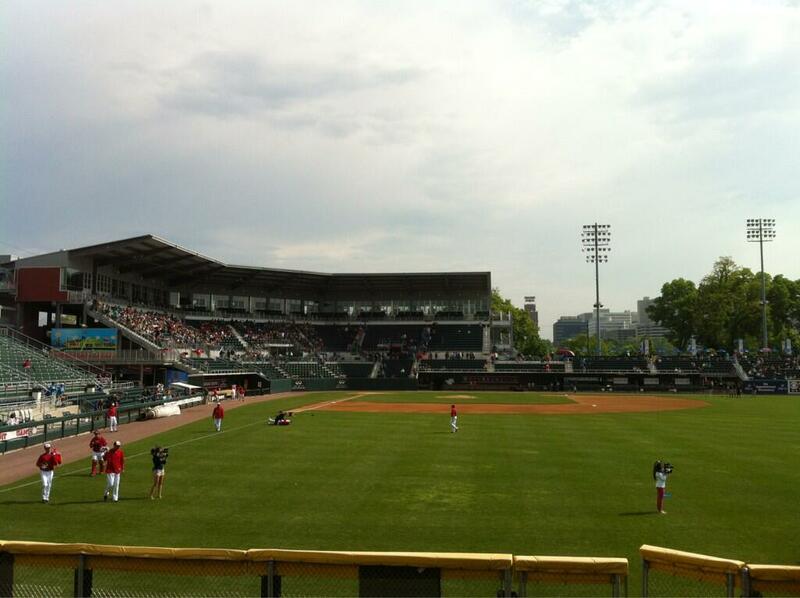 That was the closest the Senators would get to tying the game up as the Flying Squirrels won two out of three to take yet another series from the Sennies. 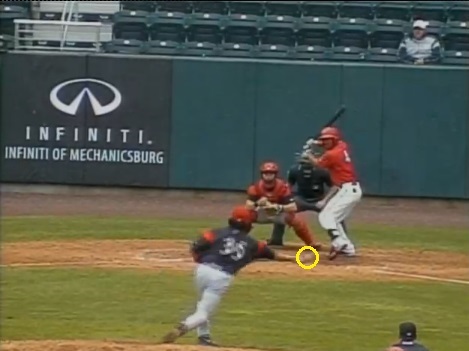 This entry was posted in Recaps and tagged Andrew Susac, Brian Goodwin, Caleb Clay, Destin Hood, Edwin Quirarte, Harrisburg Senators, Neil Holland, Nick Mahrley, Phil McCormick. Bookmark the permalink.